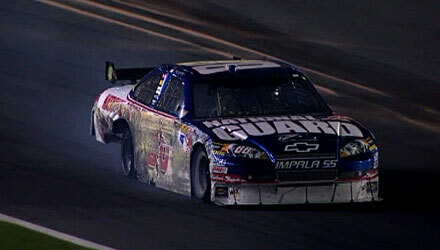 Well it looks as though Jr. will not win this one. Had it in the bag and pancaked the wall. But surprisingly enough he has made up some ground and finished in 5th place. Kasey Kahne brings in the checkered flag.